Four days of great football, culminating in the top of the table clash at AAMI Park, has delivered some compelling football, some stunning stories, and as usual, everything to talk about. Let’s get to the talking points from round 18. No, the W-League semi-final between the Melbourne Victory and Perth Glory was not a round 18 A-League match, but given the match occurred as part of a Melbourne vs Perth double-header at AAMI Park, this writer is going to allow for some leeway. Samantha Kerr is a star, this is already known, and stating the bleeding obvious. But to witness her stardom first hand, to see the skill, the power, the athleticism, the drive, the competitiveness, and importantly, the performance when it mattered, there are no words that talking points is going to find that can come within a galaxy of doing her justice. I had no idea how good Kerr is. She’s not just a goal scorer, she is everything, as complete a player as Australia has ever produced, male or female. She creates, she chases, she defends, Sam is everything to her team, in so many ways that so many male counterparts simply cannot produce in either the A-League or any other male domestic league around the world. The thing about stars, and I mean true, world-class superstars, is two things. One – they deliver when it matters. I am talking about Ronaldo, Messi, Neymar, when the occasion is its biggest, whether it be a Champions League final, a World Cup, or a home and away fixture against a long-time domestic rival, your star players know that they are judged on performing on the big stage, and delivering. The second thing, though, is that when it comes to your stars, they not only deliver, but you, the spectator, expect them to deliver. Watching and live-blogging the Victory – Glory semi-final, going into the match, you expected that Kerr was going to put on a show and deliver in a big way. A hat-trick in an away semi-final to get into the major showpiece event for the season? Yeah, I would say that is delivering and more than fulfilling expectation. 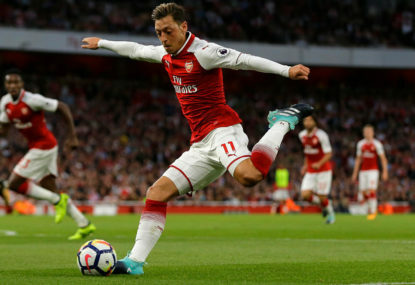 Take a moment, and breathe it in football fans, Australia is custodian to one of the top ten, probably top five, players in the world at the moment. 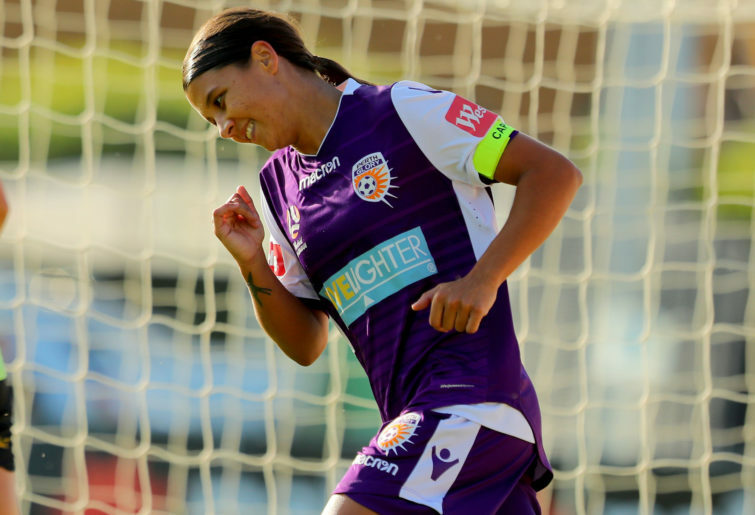 With word that she is thinking of parting ways with the W-League to stay overseas, perhaps go to Europe, with the possibility that Kerr may play her final domestic match in Australia for some time next weekend, enjoy every moment. There’s every chance that she will put in yet another standout, maybe even match-winning, performance for the ages. Did Wellington finally snuff out Newcastle’s last whiff of finals on Thursday at MacDonald Jones Stadium with that one-all result that maintained the eight-point gap between sixth and seventh? Probably, but it goes without saying that, once again, Newcastle had their chances to win, and win big. Ernie Merrick said what many Newcastle fans have been thinking all season, and that is there is something about playing Newcastle that brings out the best in the opposing goalkeeper. There is just something about being between the posts when you face Newcastle that turns every keeper from a potential David James into the newest David de Gea. 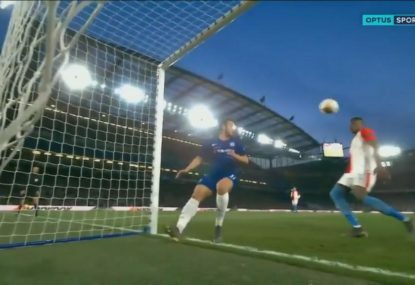 Now, granted, Newcastle were profligate, collecting the rare set of hitting the crossbar and both posts in the second half, but the saves that Oliver Sail was making in that second half alone were ridiculous, and at times defied the laws of physics. Newcastle have gotten a lot wrong this season, their finishing being one of them. 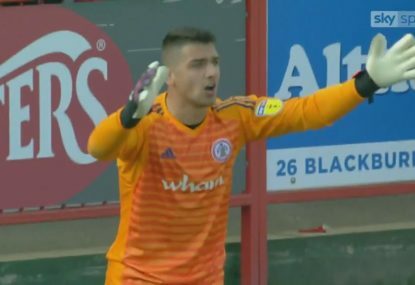 But given the number of goalkeepers who walk away with man of the match awards after facing them, perhaps more credit needs to be given to the goalkeepers who seem intent on thwarting the Jets’ efforts. New upset of the season contender? When Central coast defeated Melbourne City earlier this season, that effort was going to be pretty hard up to beat as upset of the season. And to be sure, a winless, bottom of the table side beating a top four contender is still likely the biggest upset, but I would wager that Brisbane’s win over Sydney on Friday is going to give it a run for its money. Sydney, at the moment, are not firing on all cylinders, it has to be said. 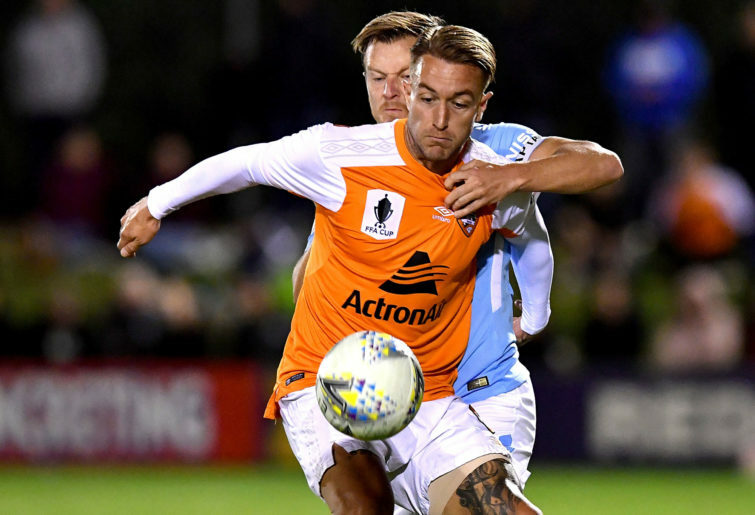 But you expected that the sky blues would get their ducks in a row to overcome the second from bottom Brisbane, who have yet to win under caretaker coach Darren Davies, and are likely still psychologically scarred from last weeks’ fiasco in Adelaide. Well, as I do so often like to say: wrong! It turns out that Brisbane were intent on not wasting all the good form they’ve shown over the last month, and instead, wanted that win badly. That the winner came from he of the cheeky Rhyan Grant mullet-flick, Dylan Wenzel-Halls, with a class finish, would have made the win all the more sweeter. I have said for a while, they have so little to play for, and they still have no coach, it is a wonder that they haven’t packed it all in for the season. Instead, they’re beating championship contenders. Kudos Brisbane Roar, for your effort truly is worthy of being considered upset of the season. Ben Kennedy, the Central Coast custodian, is actually not that bad a keeper. He was loved in Newcastle, and sadly fare welled when he left. So when he went to the Central Coast, there was no telling where his career was heading. Judging on the game against Western Sydney on Saturday, well, it’s not going well. To be fair to Kennedy, he has had some standout moments this season, but you would hardly say he has had standout games, and when he bundled in the own goal against Melbourne last week that drew Melbourne level on the road to what would ultimately be an epic come from behind win, you thought Kennedy had hit the bottom this season. Once again I say: wrong. Again, in fairness to Kennedy, the Elrich ‘goal’ on Saturday, was complicated somewhat by the movement of Oriel Reiera, who while nowhere near the ball, looked like he might somehow get to it. 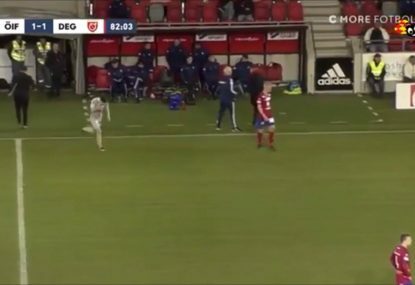 Instead, the ball from Elrich flew past the striker untouched, Ben Kennedy stood frozen in time while the rest of the world continued to turn. The problem for Kennedy is in isolation, his effort isn’t that big a deal, and mistakes do happen. But for an error-prone keeper in a bottom of the table team, those mistakes are now calamitous. And it is a shame, because in Ben Kennedy, you have the pieces of a good goalkeeper. Can people stop feeling sorry for Melbourne City and their supposed striker shortage? Melbourne do not have a striker shortage, they just don’t want to use all their strikers. 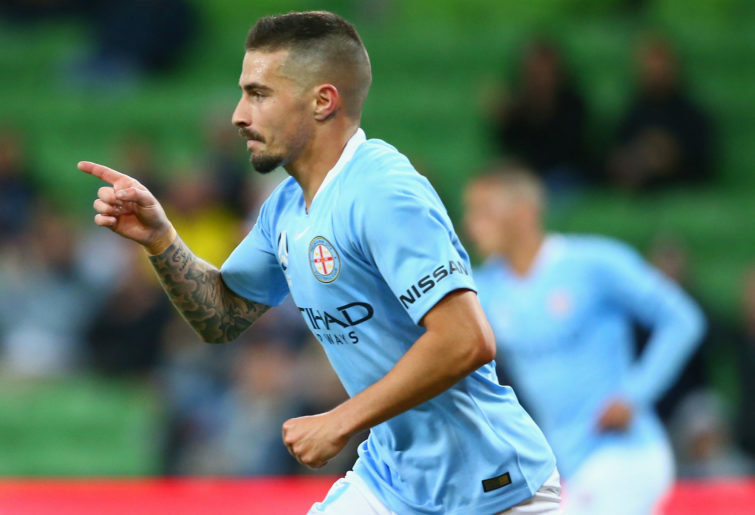 At the moment, Melbourne City have two of the best strikers going around in newly arrived Jamie Maclaren, and that too readily forgotten Uruguayan superstar, Bruno Fornaroli. Bruno Fornaroli, remember him? He is still on Melbourne City’s books. You don’t get to have sympathy when you say you can’t drive anywhere because you don’t want to take the Ferrari out of the garage. Melbourne City can harp on all they want about having to play Ritchie de Laet up front to fill the striker role, but again, if Fornaroli was picked, and now if he was played in combination with Maclaren, off creativity from Luke Brattan and Riley Mcgree, Melbourne would be considered the biggest attacking threat in the comp. Instead, Warren Joyce continues to shun Fornaroli, and focus on a defensively solid push to a championship run. Again, focusing on defence, and neglecting your strike-force, doesn’t mean you get sympathy for not having strikers. You ultimately reap what you sow. I hate to say it, but Melbourne know how to put on a sporting occasion. As the top of the table clash between Perth and Melbourne at AAMI Park was the culminating match of the round, the atmosphere and show for the match was something you would expect to find for the showpiece grand final, not a home and away fixture. The stands were full, the stadium replete, the crowd was involved, and the on-field action was good value. The crowd had gotten a brief kick-start to the day with the extra-time finish in the W-League semi-final, which almost threw a challenge down to the men to deliver. And the occasion itself lived up to its billing. While talking points has been accused of focusing too much on crowds this season, the bottom line is that a game can feed of its crowd. 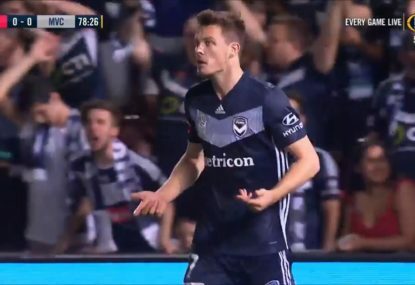 The people there at AAMI Park watching played their part to build the anticipation, and players always preach about feeding off the energy from those watching on. 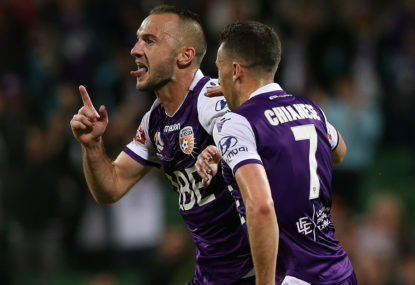 Simply put, a big crowd creates a bigger spectacle, as exhibited by the top of the table, round 18 clash between first placed Perth Glory and second placed Melbourne Victory. In just 22 minutes, Dimitar Emtimov picked up two yellow cards and gave away two penalties.